What better way to get back to blogging than with a picture update of the cutest, curly haired baby ever! 4th Birthday Party. 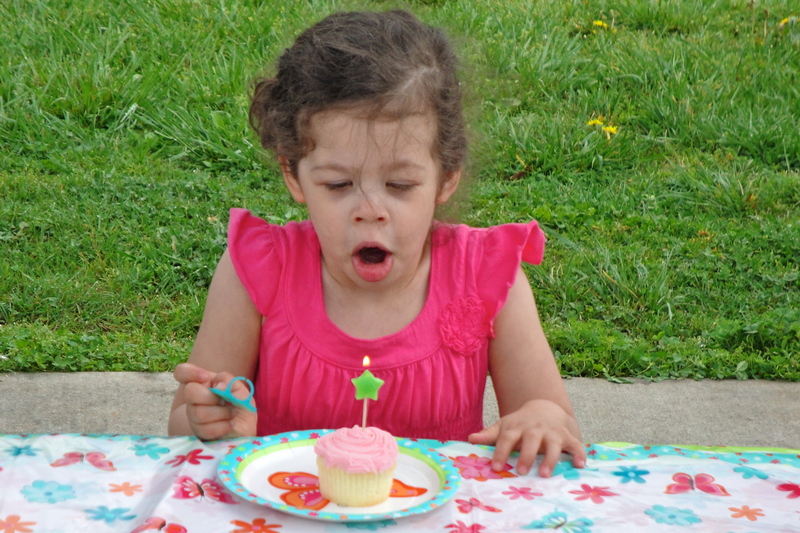 This is one of the dozen or so times we lit a candle, sang Happy Birthday and cheered when she blew out the candle. 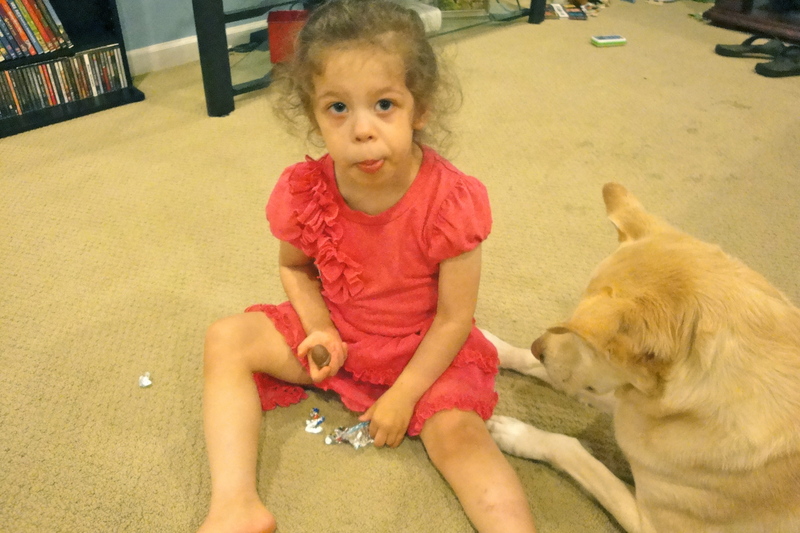 Also, after weeks of talking about cupcakes, she refused to eat them. Not one bite. Playing with Mommy’s phone. 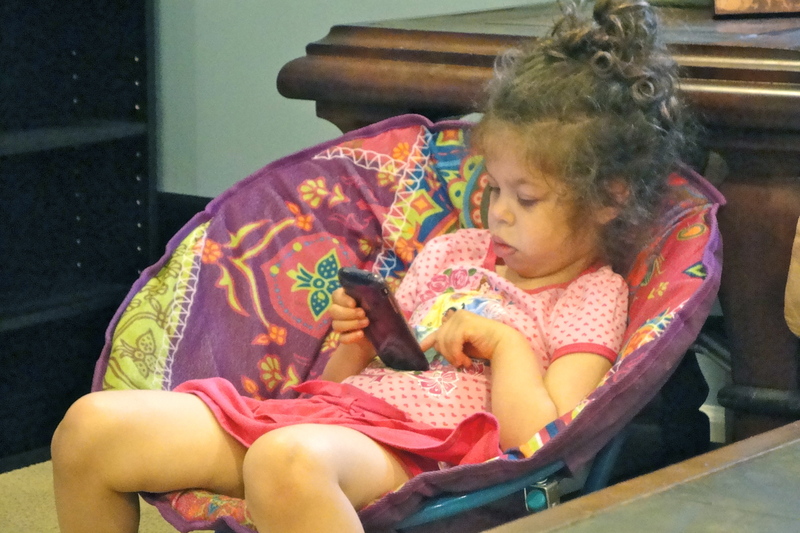 She’s a big fan of the iPhone and its educational games. She’s also a fan of deleting stuff and calling people we don’t know. 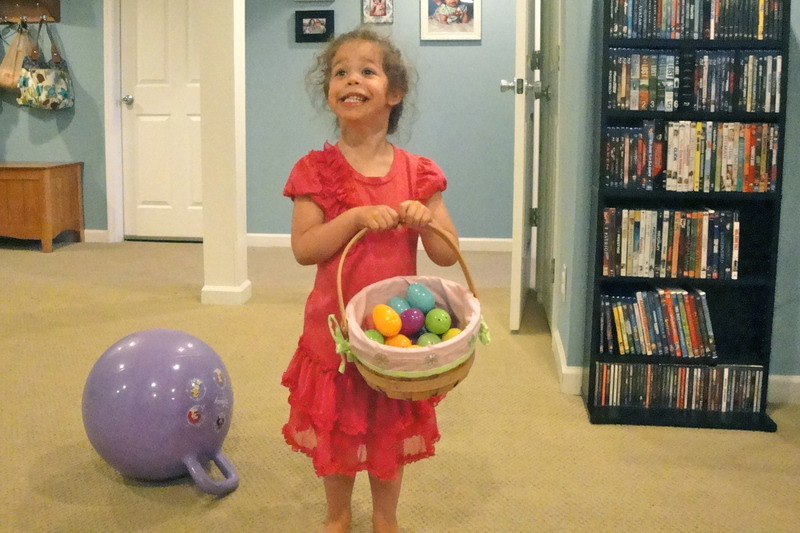 Easter egg hunting. I’ll admit, we were a bit lazy on the whole hiding Easter eggs thing. But, Mikayla really doesn’t care about the hunting. Honestly, she just wants the candy. Apparently, Emma wants candy too. Love that precious little girl! She makes me smile! Thanks Candice! Looking forward to tonight!! Happy Birthday to Mikayla!!! Ezra also enjoys playing with my iPhone. She deleted our Christmas pics this year. Every.single.one. Oh no kellee! Not the Christmas pictures. So far nothing that important has been deleted from mine but that makes me think I should back them up just in case. So fun! 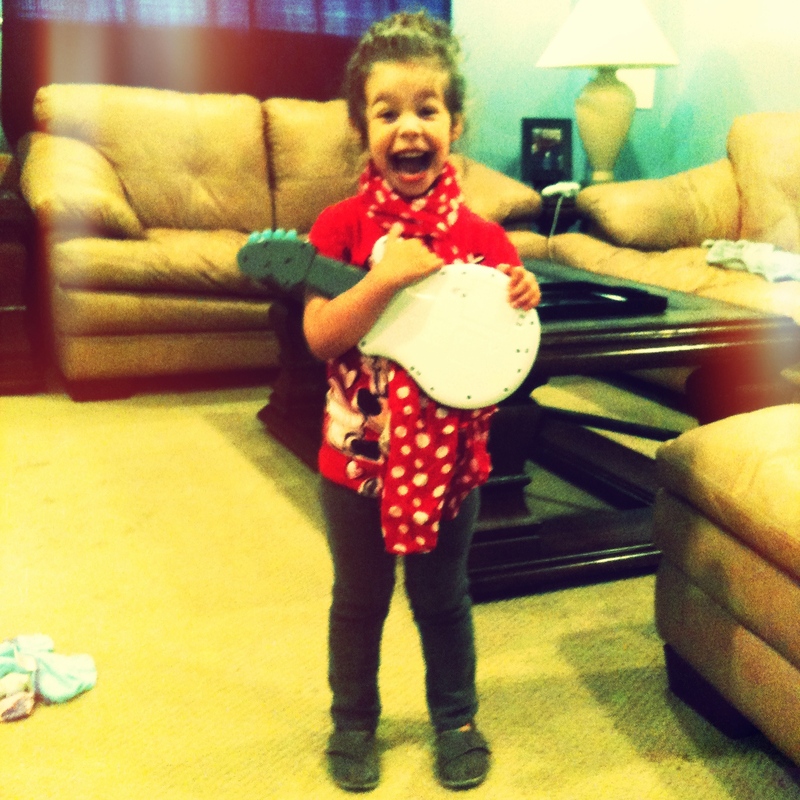 Such a happy kiddo!